Egypt’s general prosecution referred 200 suspected Ansar Beit Al-Maqdis members to criminal court on Saturday, on charges of committing acts of terror. The Al-Qaeda-affiliated militant group has claimed responsibility for many bombings and other attacks that have taken place in Egypt in recent months. Since the ouster of Islamist president Mohamed Morsi last July, militant attacks against security forces escalated. Initially concentrated in the Sinai Peninsula, militant violence has since spread to the Nile Delta, including Cairo. 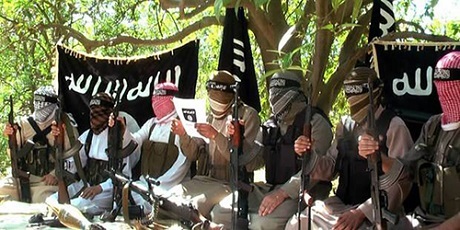 On 14 April, the Court for Urgent Matters has officially labeled Ansar Beit Al-Maqdis a terrorist organisation. They hijacked merciful Islam and deserve "El0Hud" (death). Go for the head of snake Hamas.